FOUND FOOTAGE is a horror comedy from a trio of writers (Travis M. Riggs, Willy J. Sasso, Drew Byerly). 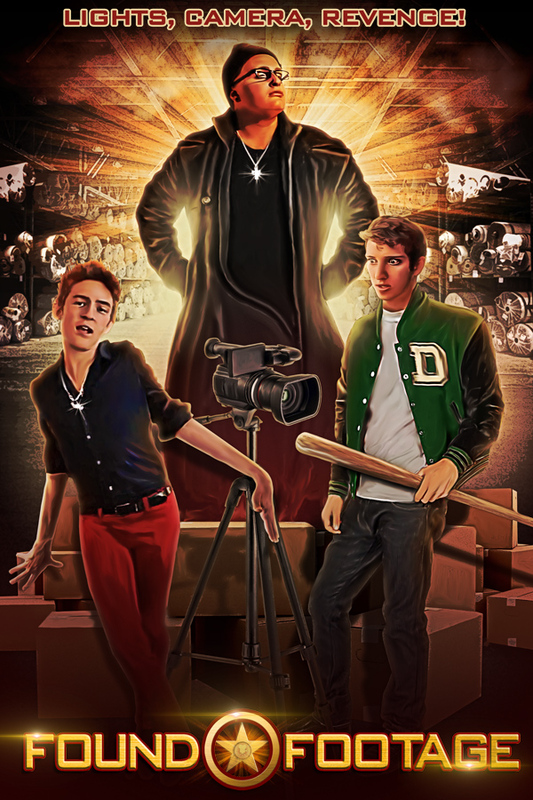 In the film, three characters seek revenge on several bullies, by locking them in a room. They hope that their prisoners will fight each other to the death. Instead, everyone ends up in a darkly hilarious situation, from which every character wants to escape. Written and directed by Travis M. Riggs, Sasso and Byerly, FOUND FOOTAGE was previously released on a few platforms by POV Horror. Global Digital Releasing plans to expand the film's release worldwide across multiple platforms on 10th July 2018. For three teenage friends, Lawrence (Jared Bess), Jeremy (Willy J. Sasso) and Tanner (Drew Byerly) life is pretty good in their own little bubble. Tanner loves sports but has obviously been hit in the head one too many times. He also enjoys roughhousing with his good friend Jeremy who finds joy in musical theater and drama club. Unfortunately, his passion does not amount to any talent. And then there is Lawrence, the overweight angry guy with glasses who hates the world and has a dad that just might be a serial killer. All is well in their world until Lawrence decides he’s tired of being bullied (although no actual bullying ever occurs) and the only time they find themselves in trouble with the popular kids is because they have instigated it. Regardless, the guys decide to take matters into their own hands by tricking six bullies into an abandoned warehouse with a trash can full of weapons. Secretly, they are recording everything, in hopes they will battle it out to the death a la Hunger Games. To say the least, it all goes ridiculously wrong! Be sure to check out the reversed engineered “Revenge of the Nerds-esq” comedy thriller FOUND FOOTAGE as it releases on 10th July 2018 in multiple countries on Amazon Prime and iTunes, as well as additional platforms in North America, including TUBI TV and VUDU.